When you face charges for a DUI or DWI offense, it’s natural to think that your future is in jeopardy. With a skilled lawyer from Fiore & Barber, LLC, however, you have an attorney who knows the laws, the legal system and the people in that system. Our knowledge and connections give you the advantage you need to keep your freedom. With a combined 29 years of legal experience, we have the understanding and persistent, positive attitude it takes to successfully defend you. 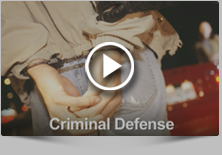 There are ways that you can fight your DUI/DWI charges. Our lawyers scrutinize the evidence gained from field sobriety tests, Breathalyzers and blood tests, and the procedures used during these tests. We also directly negotiate with arresting officers and assistant district attorneys to arrive at the best solution for you. Throughout the entire process, we strive to keep lines of communication open so that you are never left in the dark about your case’s progress. Eliminated penalties. We seek to eliminate any jail time, fees or license suspensions that you may suffer after being charged. Reduced penalties. We work to minimize the penalties as much as possible if we cannot completely eliminate them. We understand the fear and frustration you feel after being arrested for DUI. The lawyers at Fiore & Barber, LLC remain straightforward and honest with you, giving you practical advice and diligent defense to help you throughout the process. Call us today at 215-256-0205 or contact us online to arrange a free consultation. Our hours are flexible to meet your needs.